Written on October 27, 2017 . Posted in News. IRVING, Texas (October 26, 2017) – The PPAI Expo, the promotional products industry’s largest and longest-running trade show presented by Promotional Products Association International (PPAI; ppai.org), has earned the International Association of Exhibitions and Events (IAEE) Certified Exhibition designation, and is one of only 27 trade shows to meet the IAEE gold standard. 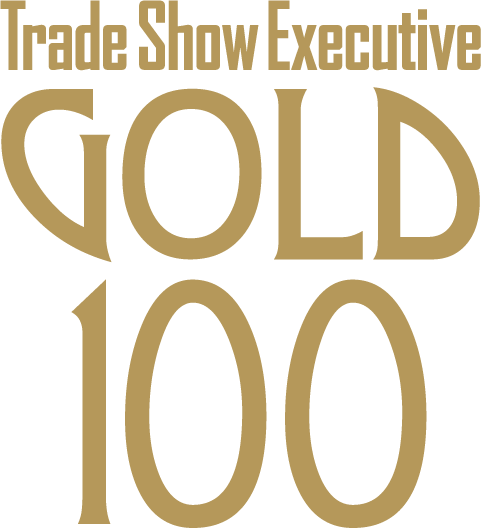 Expo was also recognized in the September issue of Trade Show Executive magazine as the 52nd largest trade show in North America in its Gold 100 for 2016. It has been ranked in the top tier of the Gold 100 every year since the list’s inception in 2007. In January 2016, The PPAI Expo brought 11,762 promotional professionals from 4,365 companies together under one roof for the five-day event. Expo featured more than 1,324 promotional products exhibitors presenting more than 100,000 products occupying exhibition, meeting and event space in a million square feet at the Mandalay Bay Convention Center. With a total of more than 19,429 participants from the U.S. and 38 countries, the overall non-gaming economic impact of The PPAI Expo 2016 was estimated at $19.5 million by the Las Vegas Convention and Visitors Authority. “The partnership, support and trust of so many committed supplier exhibitors, business partners and distributors enable Expo to thrive by creating amazing experiences and opportunities for the promotional products industry to come together and conduct business every year at the right time in the right place,” said Darel Cook, PPAI director of expositions. 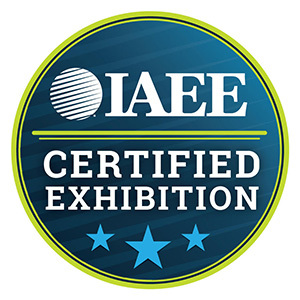 Earning the IAEE Certified Exhibition designation is an important accomplishment and a key part of taking The PPAI Expo from great to extraordinary. The shows held in 2016 that make up the 10th annual Trade Show Executive Gold 100 tallied a total of 40,550,072 net square feet (nsf), an increase from the 2015 events, which topped 39,677,074 nsf. For more information about The PPAI Expo 2018 to be held at the Mandalay Bay Convention Center in Las Vegas, January 14-18, 2018, visit www./ppai.org/expo. Founded in 1903, the Promotional Products Association International (PPAI) is the world’s largest and oldest not-for-profit association serving more than 14,500 corporate members of the $21 billion promotional products industry which is comprised of more than 37,661 businesses and a workforce of more than 510,000 professionals. PPAI represents the industry in Washington, D.C., and advocates on its behalf. PPAI operates The PPAI Expo, the industry’s largest trade show; provides the leading promotional products safety and compliance program, a prestigious professional development and certification program; and publishes industry trade journals and periodicals. The multibillion-dollar industry includes wearables, writing instruments, calendars, drinkware and many other items, usually imprinted with a company’s name, logo or message. For more information, visit PPAI.org and find us on Twitter @PPAI_HQ, Facebook, YouTube and Pinterest. The world’s largest promotional products trade show is a great place to see the hottest trends in advertising, incentives, recognition and awards, as well as new, green, and made in the USA promotional products, and all under one roof. In 2017, The PPAI Expo brought 12,267 promotional professionals from 4,065 companies together under one roof for the five-day event. The PPAI Expo featured more than 1,251 promotional products exhibitors presenting hundreds of thousands of promotional products while occupying more than one million square feet of the Mandalay Bay Convention Center. With more than 19,688 participants from the U.S. and 31 countries, the overall economic impact of direct visitor spending during The PPAI Expo 2017 is estimated at $18.4 million by the Las Vegas Convention and Visitors Authority. Trusted since 1928, IAEE provides quality and value to its members through leadership, service, education and strong relationships. IAEE is the largest association of the exhibitions and events industry in the world, with a membership of show organizers, exhibitors and exhibition suppliers. Organizers of more than 20,000 exhibitions and buyer-seller events around the world are members of IAEE, and the organization advocates and promotes the awareness of face-to-face exhibitions and events as the primary medium for business development and growth. IAEE provides relevant, timely, and innovative education to its members and the industry. Visit www.iaee.com for more information.